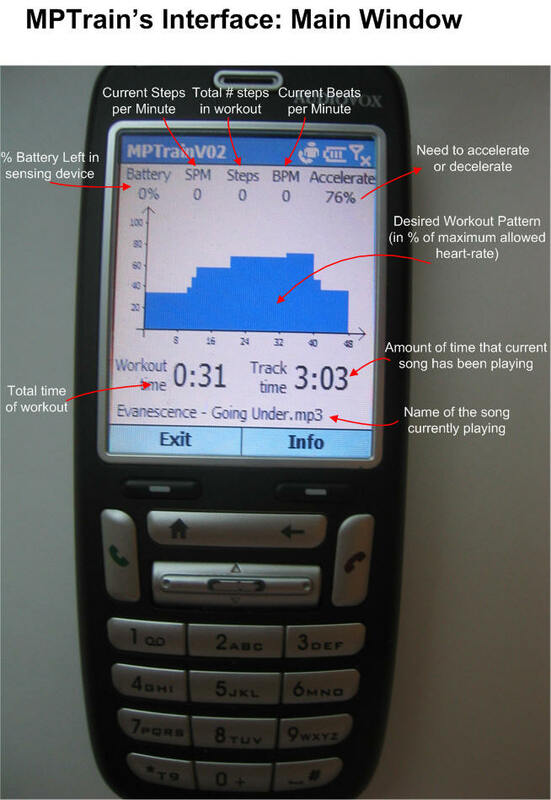 MPTrain is a mobile phone based system that takes advantage of the influence of music in exercise performance, enabling users to easily achieve their exercise goals. 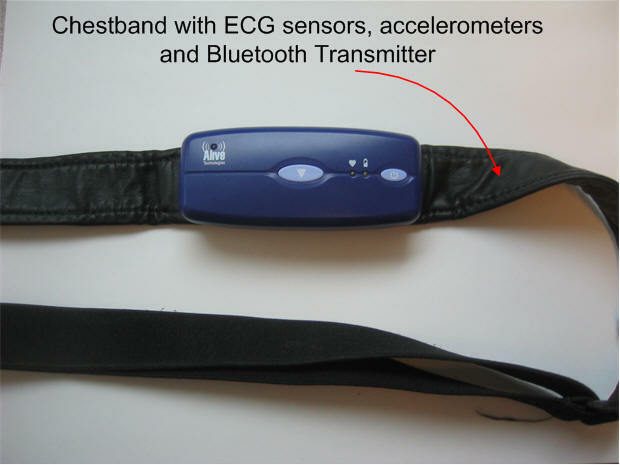 MPTrain is designed as a mobile and personal system (hardware and software) that users wear while exercising (walking, running, jogging, etc.) 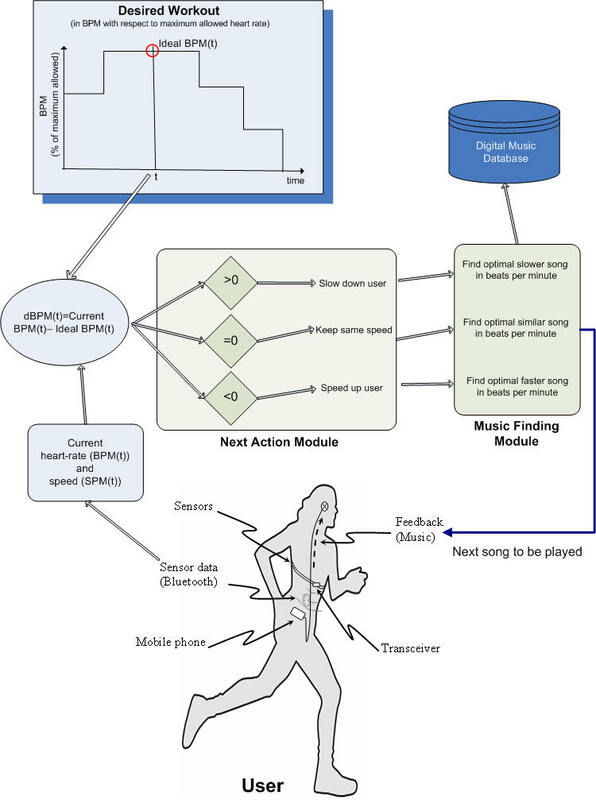 MPTrain's software allows the user to enter a desired exercise pattern (in terms of desired heart-rate over time) and assists the user in achieving his/her exercising goals by: (1) constantly monitoring the user's physiology (heart-rate and pace); and (2) selecting and playing music with specific features that will encourage the user to speed up, slow down or keep the pace to be on track with his/her exercise goals. MPTrain is a Personal Trainer on your mobile phone that automatically selects the right songs to play to keep you on track with your exercise goals. It creates the ideal playlist for each run on the fly, based on the desired workout and the your real-time performance.